I got through all the MPLS labs I wanted to get through from INE and Narbik. I made it through lab 1 and 2 from INE Vol 2. I plan on getting to lab 3 over this weekend and then some Vol 3 labs probably next weekend after I go through the topics I have issues with on lab 3. Well here I am starting my first post of 2011 and it actually feels good to have the holidays out of the way. The last two months hurt my studies without a doubt. I think one thing that kind of always hindered me was the lack of a plan. A structured approach so to speak. Maybe I was one of those kids that always cried out for structure and never really got it? At least academically anyhow. 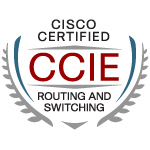 So with that I decided to start down Petr’s How to pass the CCIE R&S with INE’s 4.0 Training Program plan since I finished most of IPexpert’s workbooks. The “warm up” sections were good and I moved through it pretty quickly this week. I just felt I needed to refresh at least the core topics again after the four weeks of a layoff, and this section worked really well for that. Moving forward though, this plan is what I am going to run with. Giving myself some key lab goals I think will do nothing less than just keep me on track. I hate feeling lost without a sense of direction. Two topics I want to revisit in more depth before I start a full lab is MPLS and Multicast. I also have Narbik’s new 4.0 workbooks sitting here that I am going to use for more focused labs. I am hoping to get through those two topics in more depth by next weekend and get back to a few eight hour labs.